Is God real? What about Satan? Is Heaven a literal place of existence? What about Hell? Everyday millions of people ponder these same questions. Struggling to gain truth of this matter is a reality for Believers and unbelievers alike. Millions of people believe life ends at death. They’ve concluded that death means sleeping and existing in a state of nothingness. However, the reality according to God’s Word is the grave is not the end! As humans, we’re born into this physical world. We’re educated in this physical world, and therefore we only understand the things of this world. However, physical training does not equip us with the ability to comprehend spiritual things like the reality of life after death. In order to understand this complex topic we must explore and understand the anatomy of man. Man is a spirit being—he doesn’t have a spirit, he is a spirit. He possesses a soul, where his emotions and intellect reside; and he lives in a physical body. Because we live in a physical world, we’ve been trained to believe the physical body we see is our entire existence, but that’s untrue. The spirit of man is eternal—it lives forever. When we die, our spirit and soul separates from our physical body. Once that happens, we separate from the physical world, and are immediately born into the spirit world, where our spirit and soul will live forever. Heaven, Hell, angels, and demons exist in the spirit realm, and when we depart from this physical realm and enter the spiritual realm, we will see the reality of this truth. The Bible says to be absent from the body is to be present with the Lord. However this is only true for the person who is born again. For the person who is not born again, being absent from the body is to be present in Hell. So what happens to the person who refuses to accept this truth, and dies having been bewitched by the world into thinking that Heaven and Hell aren’t real? The harsh reality of their self—made reservation to Hell will quickly set in, and the truth they’ve heard and rejected will torment them for eternity. Don’t let this happen to you! I urge you to decide to make Jesus the Lord of your life now! Don’t allow another day to pass without knowing with certainty that you’re Heaven bound. Now is the acceptable time. You can be born again right now, wherever you are, by realizing and admitting that you are a sinner. Repent and ask God to forgive your sins; change your heart, your mind, and your direction. Then, confess with your mouth that Jesus is Lord, and believe in your heart that God raised Him from the dead. Once you complete these simple steps you’re saved and on your way to Heaven. Get connected to a Bible—based church, and allow the power of God to transform your life. You’ll be glad you did! 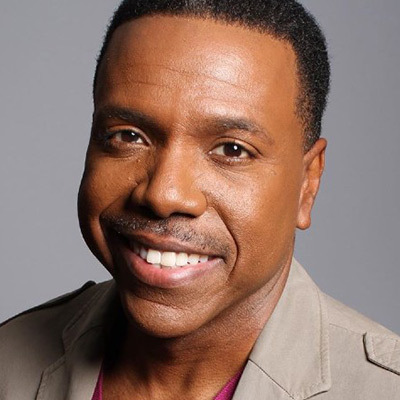 Creflo Dollar: Changing, Growing, Becoming! I came across a quote today that profoundly impacted me. The quote, from Charles Dubois, epitomizes the life of a Christian. It says, “The most important thing is this: To be able at any moment to sacrifice what we are for what we could become.” Wow! I can’t think of a better quote that precisely and insightfully captures the true calling of Christianity. Are you willing to sacrifice what you are now, in order to become what God has called you to be? If you’re a Christian, this is a question you need to honestly ask yourself. If your answer is no, you’ll remain stagnant in your current state—never experiencing the result of change or the beauty of growth. For a born—again Christian, change is a necessary and perpetual facet of life. In order to become everything God has called us to be, not only do we have to embrace change, we have to learn to love it. God makes masterpieces on the canvas of our lives; and everyday we have the opportunity to work with Him in creating a work of art. By the leading of His Spirit, we must be willing to make the necessary adjustments so God can continue the work He started in us. Do you know what happens to a person who becomes so complacent in their current existence they refuse to change? They never grow, and in extreme cases, they live their entire life with unfulfilled greatness. Don’t let that be your story! Jesus was a great example of what it means to sacrifice what we are, for what we can become. He embodied change, and allowed His entire life to be a sacrifice. As a result, He now sits at the right hand of the Father. Notice, however, what He ultimately achieved began with His willingness to lay down all for God’s will. Just think, if Jesus hadn’t willingly sacrificed His life, you and I would not have unrestricted access to the Father. I don’t know about you, but the sacrifice Jesus made motivates me to sacrifice what I am, so I can grow and become what God has destined me to be. Do you really want to grow into the person God’s called you to be? Because if you do, then change is the order of business! Don’t be consumed with what you are right now; submit your life to God as a sacrifice, and focus on what you will become. The Blueprint for a Changed Life! Psalm 45:1 states “… my tongue is the pen of a skilful writer” (New International Version). This means when you speak words, you are writing them on your heart; and whatever is conceived in your heart will eventually come out of your mouth and manifest in your life. Creflo Dollar: You’re Such a Know-It-All! Click here to know more about the Article. Of all the life lessons we can learn from the Bible, some people find that the most uncomfortable ones relate to money. The world worships money to such a degree that it is elevated to the status of an idol, and entire industries have been built around it. Money is nothing more than pieces of paper and metals, yet many people base their entire lives around it. Regardless of the currency or denomination, when we trust it more than God, it can fail us. The devil has tricked many people into thinking that they can get rich through their own efforts, and the “get your hands off my money” mindset is prevalent. The Scriptures teach us that money is simply a tool to help others, and hoarding it is against God’s will. “Lay not up for yourselves treasures upon earth, where moth and rust doth corrupt, and where thieves break through and steal: But lay up for yourselves treasures in heaven, where neither moth nor rust doth corrupt, and where thieves do not break through nor steal: For where your treasure is, there will your heart be also”(Matthew 6:19-21). Looking at the business dealings of some of the large corporations, big businesses and mega banks today, it seems like this lesson has been largely forgotten. The treasures the Bible speaks of are the blessings that money can’t buy, such as peace, joy, salvation, victory over sin, eternal life, abundance, and prosperity. When most people think of the word “prosperity,” they think of it in the narrow financial sense. God’s kind of prosperity not only includes financial blessings, but also success in every other area of life. He brings a supernatural peace that settles over our homes, our marriages, our children, and our relationships with others. “And the peace of God, which surpasses all understanding, will guard your hearts and minds through Christ Jesus”(Philippians 4:7, NKJV). Money is mentioned numerous times in the Bible because God knows that we’re so attached to it, the devil will use it as a tool to try and trip us up in our Christian walk. When we trust God enough to obey His Word, we find that something happens in our hearts and we experience a change in our attitude about money. Jesus told the story of the rich young ruler who trusted money more than God. (Mark 10:17-22). His earthly wealth blinded him to the eternal riches in heaven. Click here to know more about this Article. Remember as a child when you made a bad decision that later led to a guilty conscience? We’ve all been there and have had our own experiences—it’s part of growing up. As children, most of us were instilled with values that taught us to do our best and be honest and respectful. The world calls that internal moral compass our conscience, but when we study the Bible, we learn that it’s really the Holy Spirit at work. When we ignore that little voice inside of us, we usually make a mistake or do something we later regret. The conscience that speaks to us loud and clear about what’s right and wrong is actually the voice of God! The Scriptures tell us what role He should play in our decision-making process. “But the Helper, the Holy Spirit, whom the Father will send in My name, He will teach you all things, and bring to your remembrance all things that I said to you” (John 14:26, NKJV). Growing up, our parents did their best to teach us godly values, warning us not to follow the crowd or do something just because everyone else was doing it. Maybe it was the party that all the popular kids, along with some unsavory characters, were attending, or the temptation to experiment with something we knew we shouldn’t. Some of us may have snuck out and done it anyway, and were racked with guilt later. That was the Holy Spirit in us, pointing out our mistake, just like parents do with their children. “And you have forgotten the exhortation which speaks to you as to sons: ‘My son, do not despise the chastening of the Lord, Nor be discouraged when you are rebuked by Him; For whom the Lord loves He chastens, And scourges every son whom He receives.’ If you endure chastening, God deals with you as with sons; for what son is there whom a father does not chasten?” (Hebrews 12:5-7, NKJV). This is the type of correction that leads kids to “’fess up” to their parents and admit what they did.